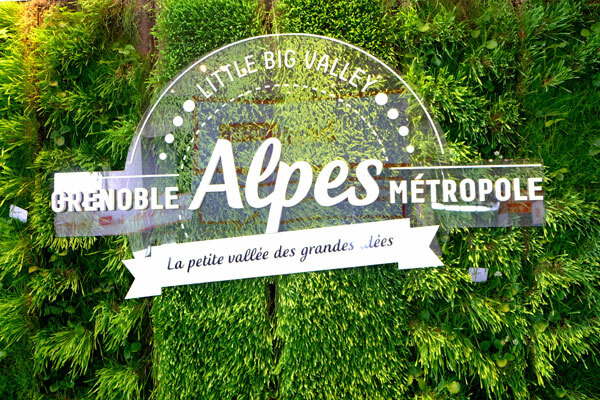 At MIPIM 2015, Grenoble dressed up in green, showcasing a wall garden promoting an urban vegetable market on the city rooftops initiated by the startup “Sous les Fraises”. 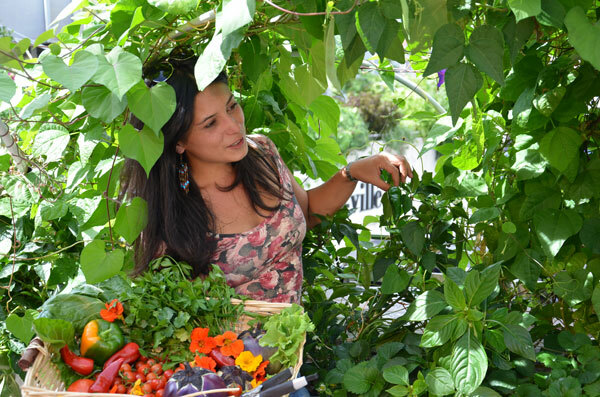 Sous les Fraises (Under the Strawberries), a young Grenoble startup, has developed an innovative concept: growing soilless flowers, fruits and organic vegetables for an urban market gardens. 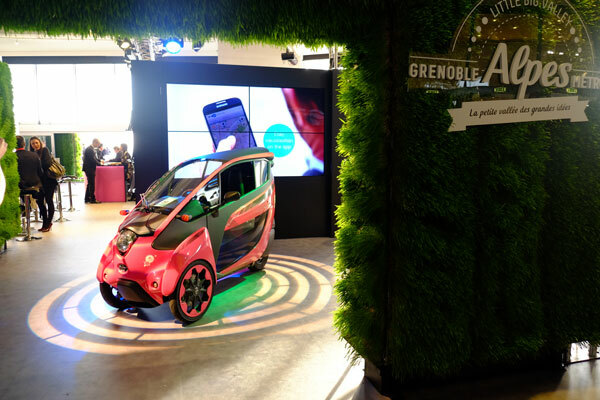 Created in 2014 by Yohan Hubert, an agronomist from Grenoble, it seeks to be emulated. This original idea will in the near future revegetate cities, roofs, facades, in line with the principles of sustainable development. Pioneering in innovation, Sous les Fraises provides a glimpse of a concrete, ecological and social vision of the city of tomorrow. Following a collaborative research between agronomists, cooking chefs, architects, planners and urban dwellers, it devoted herself to the development of biotechnologies suited to the built environment, engaged in the management of water, waste and the food supply of cities. Sous les Fraises takes part in the evolution of the urban metabolism and the re-creation of a rich and productive environment. 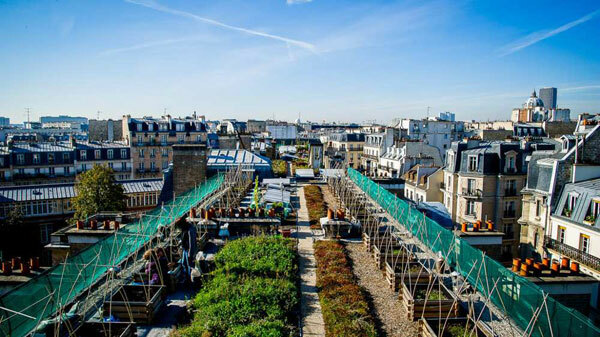 Its commitment to urban greening and culture of complex ecosystems contributes to the improvement of the urban living conditions and to the biodiversity at the heart of the largest cities. The company produces at the closest places of consumption to ensure harvest freshness, nutritional value and intact taste qualities. The expertise comes from an agronomic experience specializing in organic cultivation of local and traditional varieties as well as rare and exotic varieties. 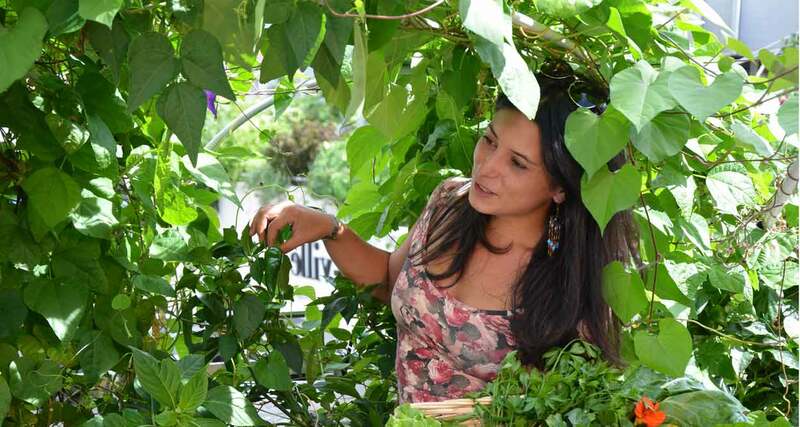 The fruit of this work enables to offer cooking chefs more than three hundred varieties of herbs, edible flowers, vegetables and small fruits grown for their taste and character and to deliver them immediately to avoid transport. 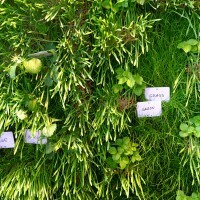 Sous les Fraises is taking part in the ecological transition of tomorrow’s cities. This transition concerns the methods of agricultural production and their diversification, the increase of the plant resources in urban areas for the comfort, sanitation and regulation of urban environments, the deployment of organic farming areas jointly promoting the development of biodiversity and economic resources of a territory. 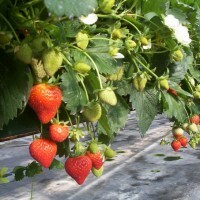 Sous les Fraises also intends to give birth to a unified system involving future farmers: a suitable legal structure functioning as a cooperative. 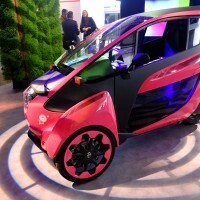 The idea is to associate a re-vegetation service to a production of fresh and high quality food in urban areas. This proposal brings together many challenges: restoring the nature in the city and develop the conditions for its sustainability, improve air quality, thermal comfort and building acoustics, anticipate the evolution of cities and create wealth from a positive approach to human and environment. Sous les Fraises is favoring a circular economy model in which the waste return to a value chain and are treated as a resource. This company promotes a large-scale development in the prospect of an environmentally and economically sustainable urban agriculture model, originating a healthy and sustainable food production.